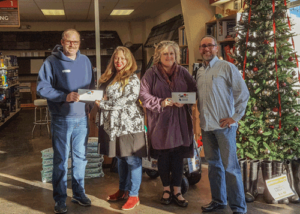 Angeles Millwork, Hartnagels, Port Angeles Food Bank and the Sequim Food Bank would like to express their thanks to all our generous customers! Lumber Trader’s CEO, Kelly Fox and Advertising Coordinator, Josh Bergesen presented Emily Dexter, Executive Director of the Port Angeles Food Bank and Andra Smith, Executive Director of The Sequim Food Bank with checks and cash of just over $1300 from our December Community First Saturday promotions. We’d like to thank everyone who shopped with us during our Community First Saturday Promotions throughout 2018, we are absolutely humbled by the huge amount of support that our community continually gives. 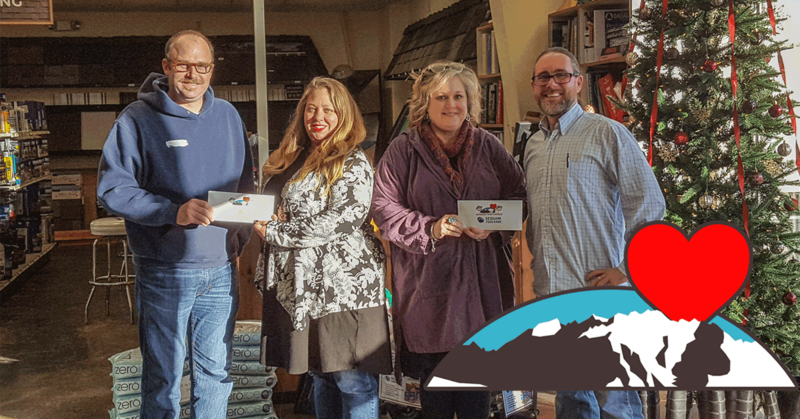 Our customers helped to raise over $12,000 for non-profits on the Olympic Peninsula in 2018! Please join our stores again in supporting the best of area non-profits in 2019. Our Community First Saturdays will be back in March 2019 with a brand new non-profit to draw attention to and raise funds for. Do you know a non-profit that would like to apply to be a recipient for 2019? Go HERE for more info and to apply!